"This story is about a boy who plans to initiate friendship with a girl who he saw in chemistry tuition. 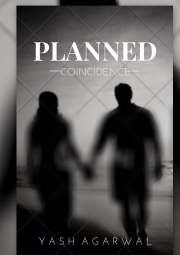 For her it was a coincidence and for the guy everything he planned worked out successfully. After they became friends, he started thinking that it is love and commits a mistake. During that period he realizes that it was just an infatuation, but till then it was a bit late. Now how does he make everything normal between them? How was she able to trust him again? Let's find out how its done and what is the relation between them?"